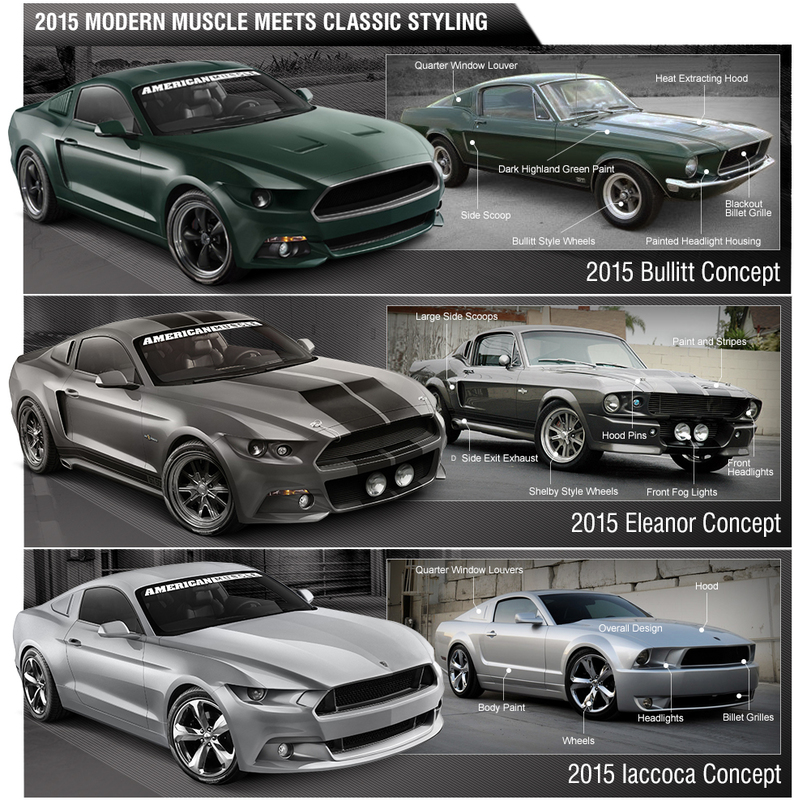 Be sure to let AmericanMuscle know which classic parts package you like best by clicking here and casting your vote! Never really liked the Eleanor but it’s growing on me with its various forms. Loving the Bullitt though. Very true, but it’s essentially the same design as the modern heat extracting hoods (think 03-04 Cobra) and the Deluxe Hood option did have the heat extracting functionality, albeit minor. You’re right though, the main purpose was to provide a housing for the turn signal indicators. That’s true. A double purpose hood, which would actually be awesome for modern mustangs and not just my classic. But I guess that’s what side marker lights are for.